THE MOCHA FLAVOR IS DELICIOUS. 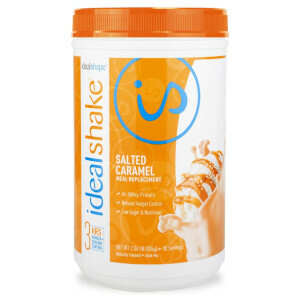 I HAVE BEEN USING IDEALSHAKE NOW FOR THE LAST 3 MONTHS AND IT IS WORKING GREAT FOR ME. Oh my goodness. This shake is soooo yummy and doesn’t have a weird aftertaste. It’s smooth and has a wonderful mocha coffee flavor! 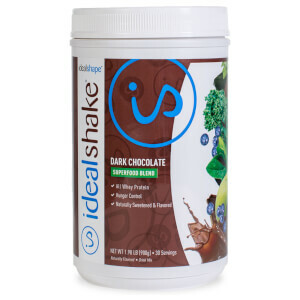 I like to mix it with the vanilla or the chocolate shake powder too!! And the flavor and consistency holds up wonderfully when mixed with water (as opposed to milk) which is always a plus when I want one on the go! 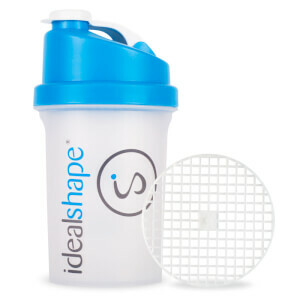 IdealShake makes the tastiest shakes available. I take Mocha with me to work for my lunch break. It's easy to shake up and makes a tasty quick lunch. This is downright impressive. With a little whipped topping, it tastes almost identical to a Starbucks frappuccino. highly recommend! and the Slendesta really does make you feel full, fast. 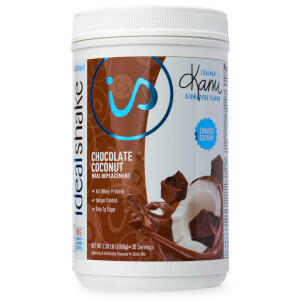 Its delicious, almost refreshing in a way but still chocolate. Definitely one of my favs, really good. The mocha is not to bad, i didnt like it at first but it grew on me and i like it, it taste like a light mocha coffee, smells great too. Hands down my favorite flavor! My favorite flavor of all of the ones I have tried so far!